At a time when the standard furnace can not cope with your resources, the More Furnaces mod will be able to melt any amount of ore. 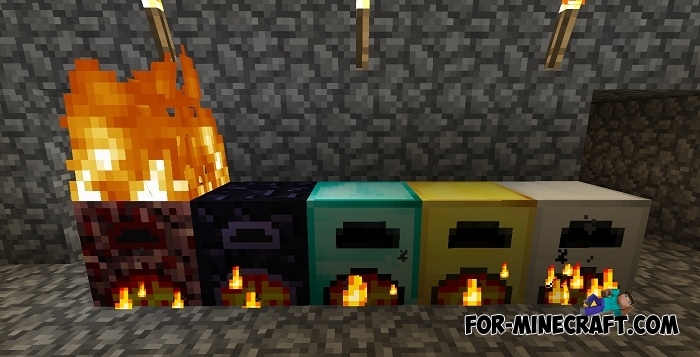 There are 5 new types of furnaces, each one with certain characteristics and most importantly the melting rate. 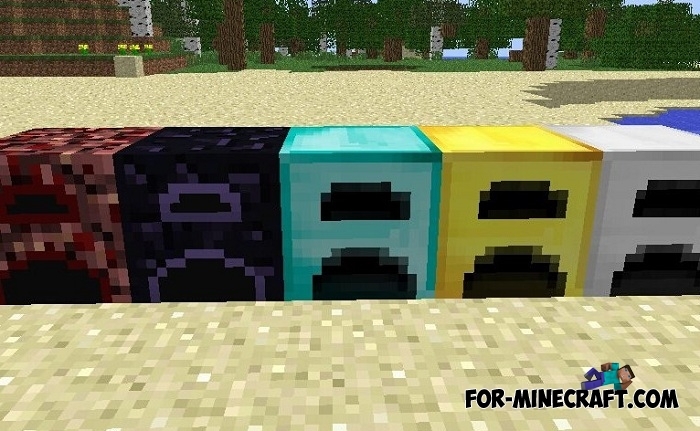 For example, if you craft a diamond furnace then the rate of ore remelting will accelerate several times, and the amount of fuel required will decrease which saves you coal. 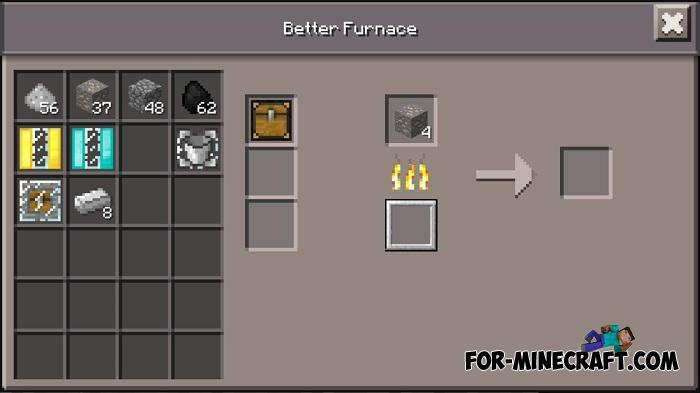 A nether furnace is perhaps the best thing that works fast enough and does not consume fuel at all. But it is better to stay away from it when it burns, it spews out the infernal flame that is not compatible with wooden houses. 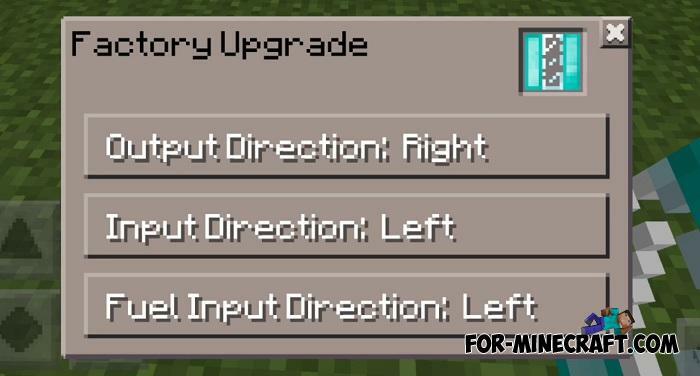 The mod operates under Inner Core, which means that you can download additional IC mods for MCBE, everything works fine. 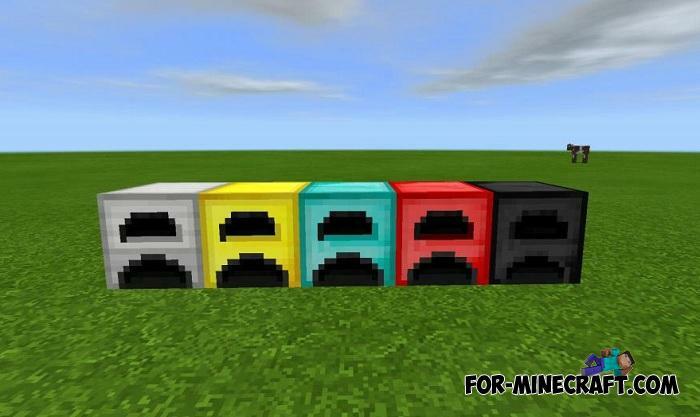 How to install the More Furnaces Mod? 2. Download and open the [.icmod] file.